Kitsap Fresh is a cooperative providing an online marketplace for local farmers and producers to sell and customer members to access source identified products on the Kitsap Peninsula. You can buy our meat and herbs (when in season) from this online marketplace using a credit card. You can also buy pork and beef raised on our farm. The beef is now marketed from Walker Meadows, and the pork is from Willow Bridge. So many farms sell through Kitsap Fresh that you can do most of your grocery shopping on line and choose where you want to pick up your fresh, locally-grown food. The pick up is on Every Wednesday at several locations. 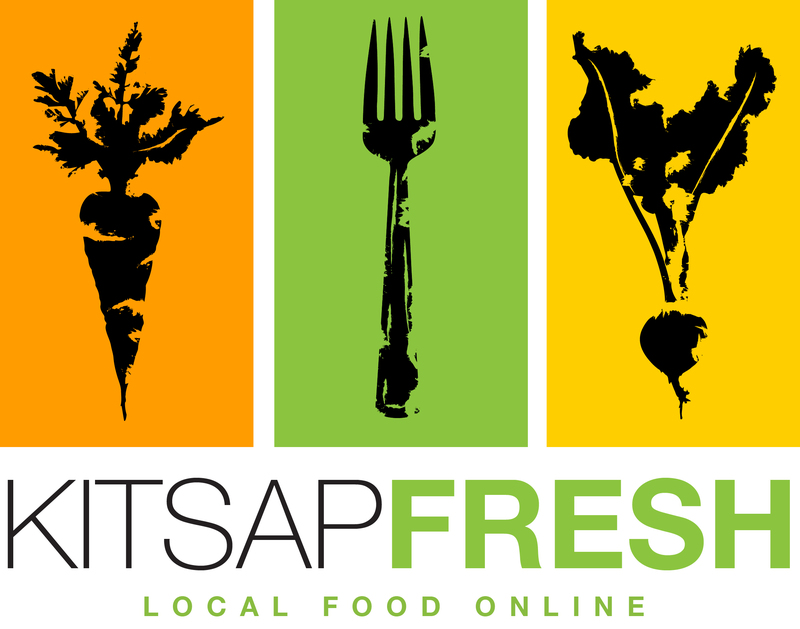 Click the Kitsap Fresh logo and find out more.